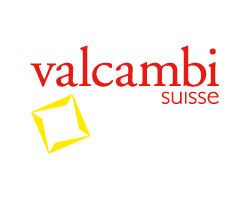 Valcambi Suisse is a gold refining company located in Balerna, Switzerland and have been trading for 40 years. A private company with accreditation to the LBMA and DMCC. Formed originally by the merger of Valori and Cambi SA in 1961, Valcambi are also the manufacturers of the Credit Suisse bars. Producing a thousand tons of refined gold per year, Valcambi has around 25% of the world's market and was the first to mint a one kilogram gold bar. Valcambi continue to push forward in the precious metals world, innovating new ideas such as the combi-bar (a large flat bar that can be split into smaller bars) and trying to provide investment products for a diverse customer base. We stock a range of Gold, Silver and Platinum Valcambi products.